With the economy expected to grow and continue full-scale recovery in 2014, companies will no doubt be expanding and hiring more employees. Hiring new employees is a tricky feat. Being in charge of your organization’s hiring process means not only screening for candidates who are qualified, but also whom are compatible with company culture and will help advance company goals. To build effective hiring practices, HR staff should have a big picture vision for the process and avoiding focusing on particular area, such as recruitment or onboarding. Great companies like Disney and Zappos create experiences for applicants that are not only consistent with their brand but involve the future employees in the company culture throughout the entire hiring process. If you are just beginning to build your recruitment program or are looking for ways to update your procedures, we’ve broken down the hiring process into 4 key steps, with courses to help you improve your hiring practices at each step. Harness the power of the Internet to expand your search and simply the screening process. It has never been easier to post and apply for jobs online. Social networks such as LinkedIn, Twitter, and Facebook are also ways in which to connect and interact with candidates. With this influx of connectivity, however, it’s easy to get bogged down by an overload of applications or lose focus in your social media recruitment and screening. As a remedy, data analysis tools and social media analytics can go a long way in judging how effective your efforts are and what your reach is. Why is a manhole cover round? How many golf balls can you fit in an airplane? These are just a few of the infamous interview questions used by Fortune 500 companies such as Google and Microsoft. While these unique questions may work for them, be careful to choose interview questions that prompt relevant answers by which to frame your hiring decision. Creative questions such as the previous examples can be great to show you how a candidate’s improvising skills or ability to think outside the box, but don’t provide much information on experience. No matter the questions, the end goal is the same–you want to identify qualified people who will mesh well with your company. When you finally take the metaphorical plunge and hire that standout, ideal candidate, the hiring process is still far from over. Onboarding a candidate and getting them up to speed is one of the most critical stages. Excellent onboarding programs educate and train new employees on company policies, values, culture, job expectations, and evaluation metrics. By hammering employee development home on the front end you improve the adjustment time it takes to get real contributions and kickstart employee growth in the long term. Online training options, workplace training exercises, and social activities can go a long way in helping with this process. At the end of the day, you want to be happy with the work coming from your new employees, as well as know the employee is equally happy with their acceptance of the position. Overall, you want to ensure your employees understand their responsibilities and their competencies match their job description. Moving forward, you should be providing development and advancement opportunities to engage your employees and get great contributions from them. 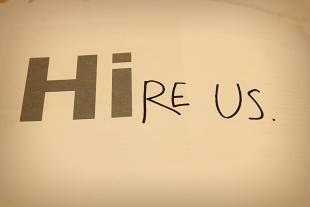 Hiring new employees is an important yet complicated process for any company. The people you hire are the very people responsible for contributing to and advancing the future of your company. With a solid understanding of the resources at your disposal and a focused agenda, the hiring process can become more rewarding than challenging.